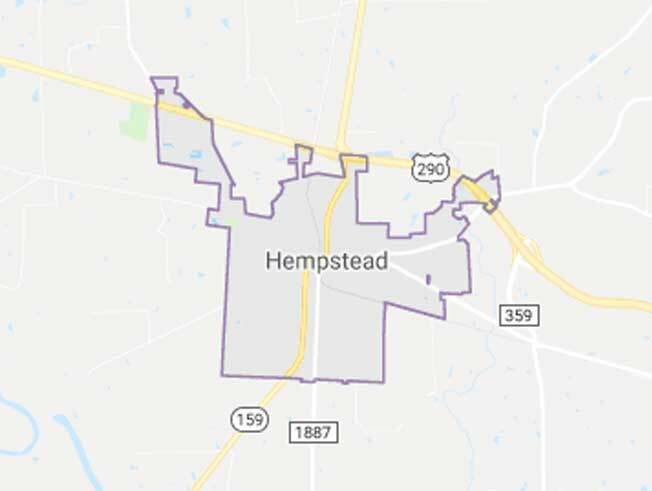 Nicknamed the “Watermelon Capital of Texas”, Hempstead is a 50-mile drive from downtown Houston and Llewellyn’s Construction has provided its land clearing services to the area for many years. Land clearing is becoming a higher demand service in Hempstead due to recent plans to expand and redevelop primary locations in the community. Llewellyn’s Construction is looking forward to providing its land clearing services to assist in the responsible growth of the Hempstead area. Llewellyn’s Construction considers complete customer satisfaction our primary goal and is why we’re consistently requested to assist with the Hempstead area’s future development plans. Land clearing has many benefits whether it be economical or helping provide a safe environment for a park project. Llewellyn’s Construction is here to ensure that the customer, commercial or residential, is comfortable through the process of land clearing and help them realize the benefit of the service. Land clearing is and will continue to be our primary service at Llewellyn’s Construction and we’re proud to be the top choice in the Hempstead community. Hempstead's best land clearing service is provided by Llewellyn’s Construction, but our services don't stop there. Hempstead has adopted plans to develop responsibly and preserve its environmental assets. Llewellyn’s Construction is environmentally conscious and is Hempstead's best responsible land development company. Our developmental services include roads, driveways, culverts, retention ponds, pad sites and other dirt work services. Call Llewellyn’s Construction for a quote today and let us help you get your land development project off the ground. Our land development services are listed below but if you have any questions please give a call.